Is Ad Blocking the Bane of the Industry, or the Route to a Better Way? If click fraud was the defining ad tech story of 2014, then it would be fair to say that ad blocking would be its successor in 2015; with several high-profile stories in the mainstream press noting its rising disruption in the industry. Ahead of a planned panel on the matter at the upcoming ATS London, ExchangeWire delves deeper in this most controversial of topics. The controversial topic of ad blocking was highlighted by a recent IAB study demonstrating that 15% of Britons are using ad blockers (i.e. browser plug-ins that prevent ads from being served against their content). Plus, in the 18-34 year-old bracket this rises to 22% of males, and 9% of women, with the main reason for doing so being that it is to prevent ads which they find obstructive. However, the industry is not taking the matter lying down. An ATS London panel will pit a mix of ad blockers against leading publishers, as well as companies trying to curb the issue of ad blocking. The key issue of debate is whether or not it will lead the industry into a better place, given consumers’ propensity to use them? For ad-funded publishers, this is particularly worrying, and the problem appears to be even worse when successive attempts by German publishers to thwart AdBlock Plus provider Eyeo were scuppered by German judges. Add to this Apple’s enablement of ad blocking providers in its recent iOS 9 update, and the urgency to address the matter is even more clear. Dan Smith, director and head of advertising & marketing law, at UK-based legal practice Wragge Lawrence Graham & Co, says that UK publishers have been vocal in their opposition to the practice of ad blocking, but have hesitated to use legal means (although some have explored using anti-competition statutes as a means of preventing them), but explains the recent German rulings prove there are “no easy wins”. Frederic Montagnon, CEO of Secret Media, a company that intends to help publishers in their fight against the potentially negative effects of ad blocking software, also points out that some publishers are hesitant to bring such legal cases for fear of inadvertently promoting their existence to consumers. “As you can see, they operate in a legal grey area, plus a lot of them are open source, so anyone can use them.” he adds. Is ‘evasion’ preferrable to ‘suppression’? Secret Media’s solution doesn’t ‘block the ad blocker’, rather it prevents the ad blocker from identifying the ad unit being identified as such in the first place; with the company in the process of working with several media owners. In addition, Secret Media is also working on plug-ins for third-party integrations. Julia Smith, a consultant at ad transparency firm Forensiq, explains how the process works further, adding that current methods of evading ad blockers makes it difficult to deliver ads programmatically. “When a page loads, the HTML code ‘calls’ the ads onto the page and each sends a request to an ad server. Therefore, the only way to trick the ad blockers into thinking the ad is editorial is to not serve it as an ad. “This makes it hard to then track the ad in the typical way, and certainly affects the ability to serve it programmatically. 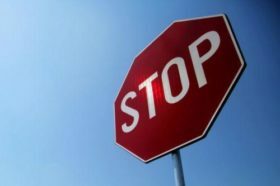 Ad blockers also block all calls, including the initial ad call that is affecting bidding across all programmatic platforms,” she says. Ben Williams, communications and operations manager at AdBlock Plus, backs this view, and says his company is well aware of attempts to thwart their activities, and is confident of his outfit’s ability to see them off. “We’re very aware of circumvention attempts and are very good at stopping them. This is an instance where being open source – and especially having filter lists that are maintained by an open source community – is to our advantage,” he says. Aside from his operation’s strength in being open source, Williams claims that his outfit’s key advantage is that it has the end-user experience as its fundamental principle, despite detracts who would claim the exact opposite. Eyeo has come in for particular criticism among those in the ad tech sector due to its ‘acceptable ads’ scheme where it ‘whitelists’ advertisers whose ads are deemed acceptable to its policies; but the twist in the tale is that these advertisers are then invited to donate to the running of the operation. This is a policy leading many to allege its operations are little better than extortion, but Eyeo stands by its policy. “To the claims of ‘extortion’ – those are clearly false. Those who level them are just throwing mud and hoping something sticks. Acceptable Ads is a compromise that starts with criteria – criteria that stay the same whether people pay or not. In fact, Williams goes on to state that Eyeo actually works with publishers to establish acceptable advertising practices. So, it’s pretty well established – ad blockers are a reality, and publishers largely feel as if their hands are tied when it comes to using legal means. Plus, as raised by Williams above, circumventing them could have grave consequences. Specifically, ad blocking services are particularly popular in markets where mobile data is expensive (usually in developing markets where most internet users are reliant on it as their main form of internet connectivity). Sean Blanchfield, CEO of PageFair, a company that seeks to help advertisers develop less intrusive means of advertising, says that in markets such as Poland and Russia, the instances of users installing ad blockers is as high as 25-25%. This is because fewer ads mean less use of their mobile data allowance. Is education the way forward? However, on the face of things, this ‘co-creation’ approach does little to help publishers and advertisers under pressure to drive revenue, and prove the ROI of their media budgets. Although, Erol Soyer, UK managing director of Forensiq, proposes that a consumer education-drive over the potential negative effects of using ad blockers may be a solution to convincing consumers not to use them. He adds: “The majority of ad-blocking software actually contains malware that launches fraudulent software onto the consumer’s computer to perform many unwanted functions – including funding fraudulent advertising ironically designed to slip through the net of ad-blocking software. “By using this software, consumers are also unwittingly creating an additional problem. A significant reduction in impressions will drive down the revenue that publishers receive from advertising. With less capital to invest in the high-quality, engaging content that viewers do wish to consume, we will see a sharp decline in the standard of content produced. These issues and more will be debated at length at ATS London on 14 September. Click here for further details.